Campbell Soup CEO Denise Morrison said consumers don’t trust big food makers, and the company announced a $200 million a year cost-cutting program to help its sagging profit margins. 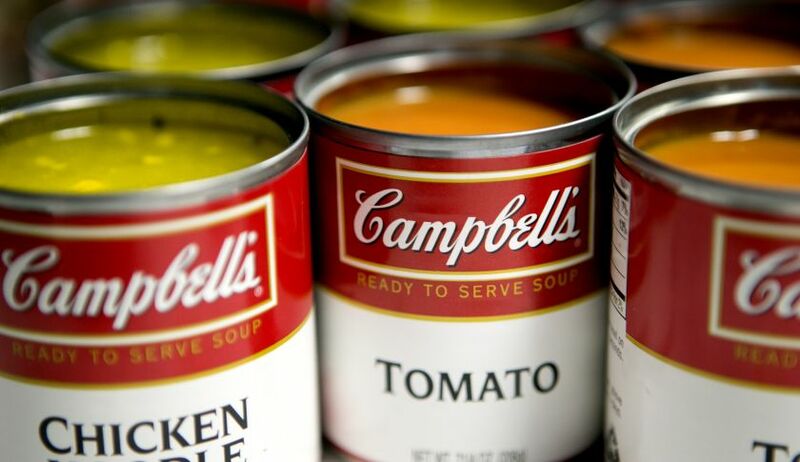 Campbell Soup CEO Denise Morrison pointed to the growing skepticism of large food makers that has resulted from consumers’ changing tastes as a key challenge for her industry. The company, whose portfolio of products ranges from V8 juice to Pepperidge Farm cake to its namesake soups, has found itself grappling with big changes in consumer behavior, in particular growing interest in fresh food and consumers much more keen to know what impact what they’re eating is having on their health and where it’s from. On top of that has been a “mounting distrust of so-called Big Food, the large food companies and legacy brands on which millions of consumers have relied on for so long,” Campbell CEO Denise Morrison said on Wednesday at the Consumer Analyst Group of New York meeting in New York. “Like other companies in our industry, we’re contending with now not just the long-term impact of the Great Recession on consumer purchasing behavior, or the increasingly complex public dialog when it comes to food, or the regulatory environment for food.” What’s more, the traditional avenue for selling Campbell’s products—grocery stores—are coming under a lot of pressure from alternative retailers she said. Campbell recently lowered its full-year results forecast after only one quarter, suggesting it doesn’t expect much relief in the pressure on its profit margins anytime soon. In January, Campbell said it would re-organize its divisions according to product category, rather than by geographic region. It plans to eliminate some management layers as well. Campbell estimates its cost-cutting measures will save it $200 million a year. Campbell is by no means the only food maker struggling to adapt to new consumer behavior. Last week, cereal maker Kellogg cut its long-term annual revenue growth estimate to a range of 1% to 3%, excluding some items, from an earlier forecast of 3% to 4%, citing poor cereal and snacks sales. Morrison’s comments about adapting to changing consumer attitudes echoed those of a major competitor. “I don’t think Kraft has done as aggressive of a job in this regard as we need to,” said John Cahill, who in December became CEO of Kraft Foods, last week. He noted that Kraft has lost market share in 40% of its U.S. businesses in 2014. Also last week, ConAgra, the maker of Chef Boyardee, announced it was naming a new CEO—the ex chief at Hillshire Brands, Sean Connolly—and lowered its earnings guidance for the year ending in May. All this turmoil is enough to give any food executive indigestion.